Koushik Dutta, a.k.a Koush, is one of Android's most popular developers. From the custom recovery ClockworkMod to ROM Manager, to Allcast, to Vysor, his apps are downloaded almost religiously amongst power users, developers, and tinkerers. 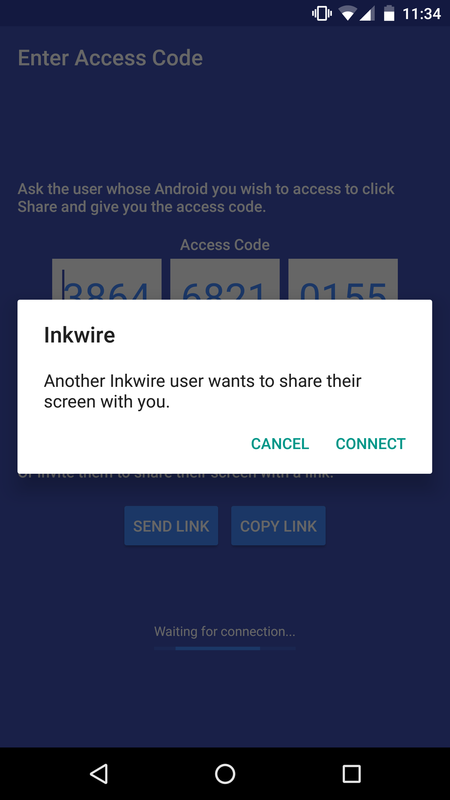 In the last few hours, he's made a new app available in beta, named Inkwire. 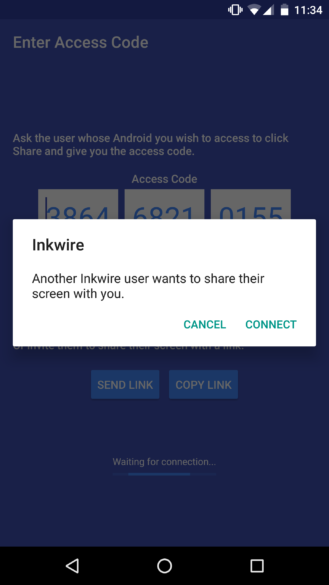 Based on Koush's previous app, Vysor, which mirrors your Android device's screen on a computer, Inkwire goes one step further and shares the screen to another Android device, letting someone else help with a problem or issue, which could be especially useful for tech support workers or, as Koush says, independent app developers. Because of this primary use case, Koush has built voice chat into Inkwire, so remote support is easy and practical, not requiring any other apps. 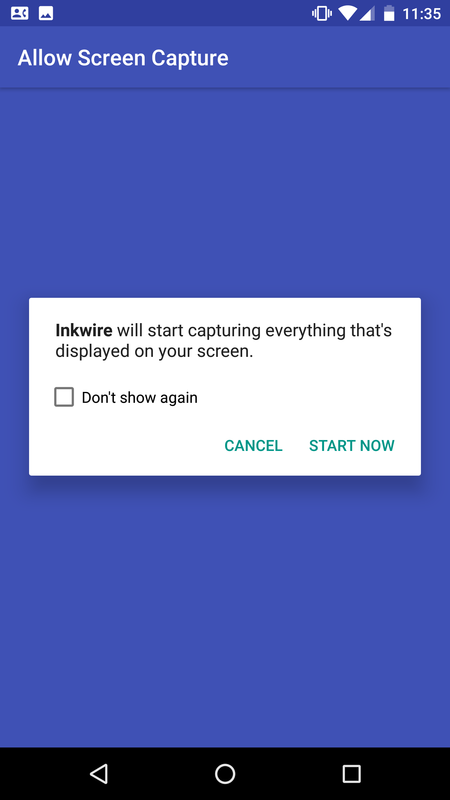 Inkwire is very simple to use. Join the Google+ community and opt-in to the beta program, then download the app. 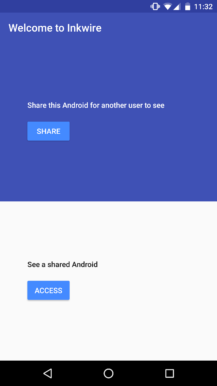 Upon opening it, you will see a two-pane screen with 'Share this Android for another user to see' in one section and 'See a shared Android' in the lower panel. 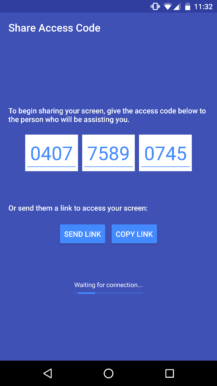 If you want to share your screen, tap the top 'Share' button and either give the access code to the person you want to share your screen with, or send a link. 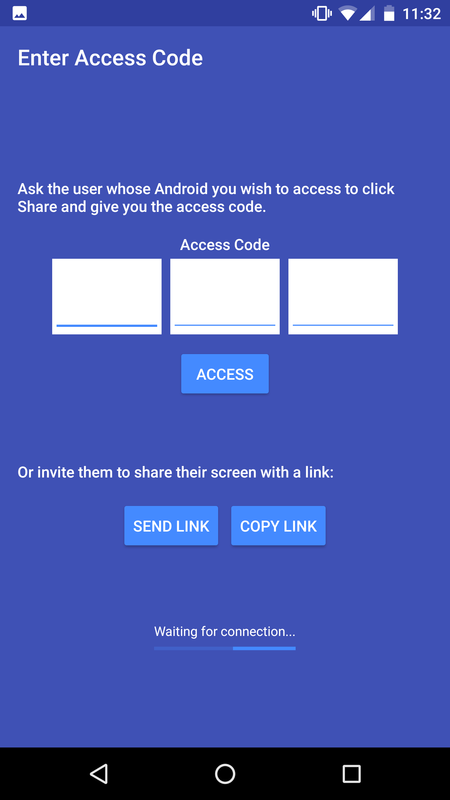 If the recipient doesn't have the app installed, this link will open the Play Store and prompt them to download it. 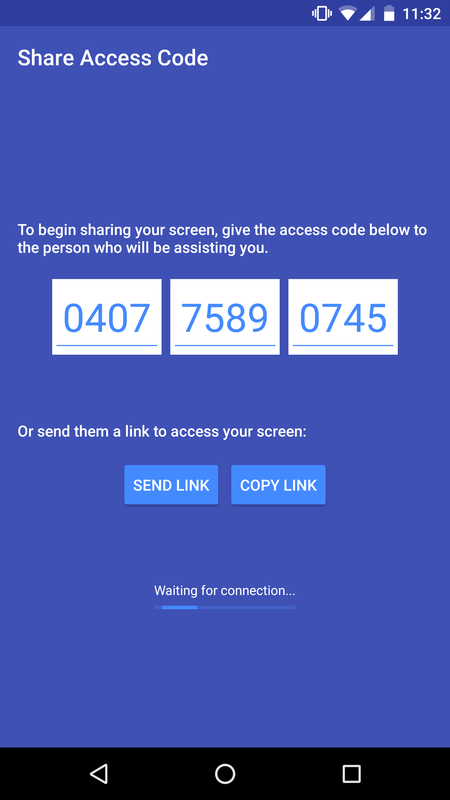 If you want to see a shared screen, you can either enter a code that was sent to you to get access or, even better, invite someone to share their screen with you via a link. Like before, if the app isn't installed on that person's phone, the link will open the Play Store, prompt them to download it, and launch the app directly and ask if they want to share their screen with you. They can choose to either cancel or connect, upon which the app will ask if it can start recording. 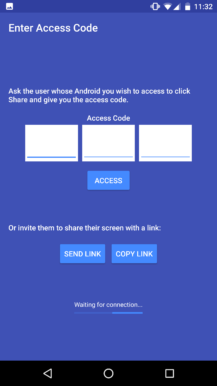 As demonstrated in the video above, Koush is using 'Dynamic Links' to achieve this - as long as the app is installed, clicking the shared link will launch right into the screen share session. 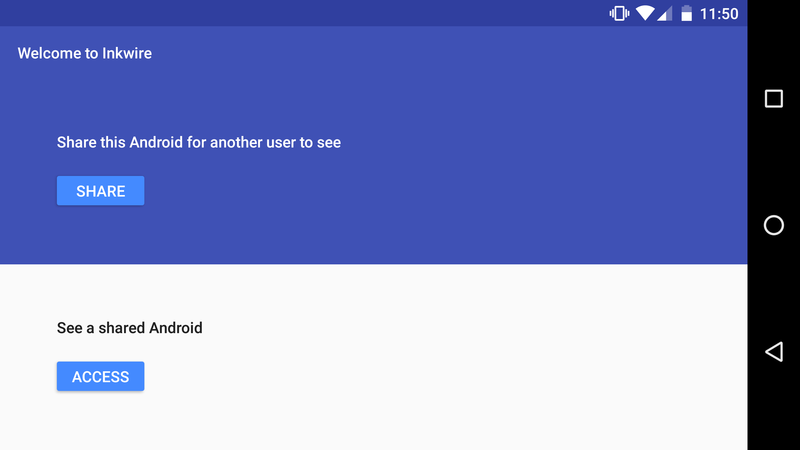 Dynamic Links, which lets a developer deep link into an app before it is even installed, was introduced as part of the new Firebase suite at Google I/O, so it's fantastic to see a high-profile developer already making use of the features. He explains more about how he is using Dynamic Links in a Google+ post. 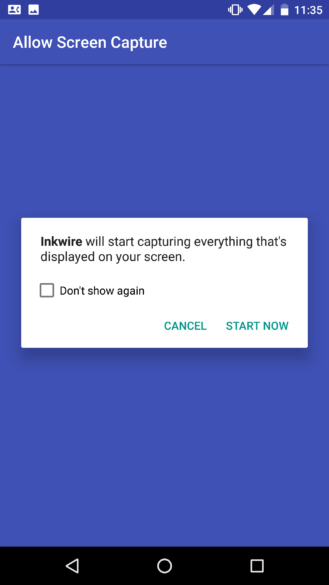 Left: main Inkwire screen. Middle: share access. 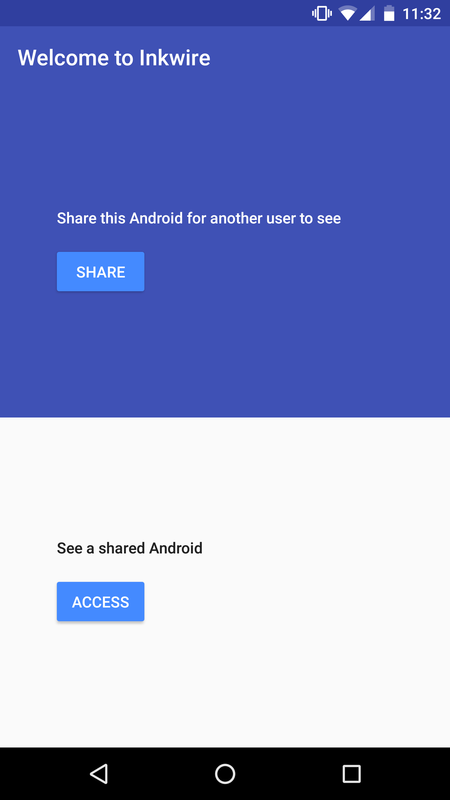 Right: see a shared Android. Left: starting to share a device's screen. Right: popup when receiving a shared screen. To get in on the fun, join the Google+ community and then opt-in to the beta here. Koush also has some more in-depth instructions and notes that you should read before installing the app, as these may prove helpful if you encounter issues. It's worth saying this app is, at the moment, not very useful unless you have more than one Android device or can persuade a friend to install it too. Remember to report any bugs or issues to Koush in the Google+ community, as this will help him to push it out to a wider audience at a faster and more efficient pace.